Book News: Chile Prepares To Exhume Pablo Neruda's Remains : The Two-Way Also: The EU approves the merger between Penguin and Random House; Lemony Snicket describes the dangers of mayonnaise; and the best books coming out this week. 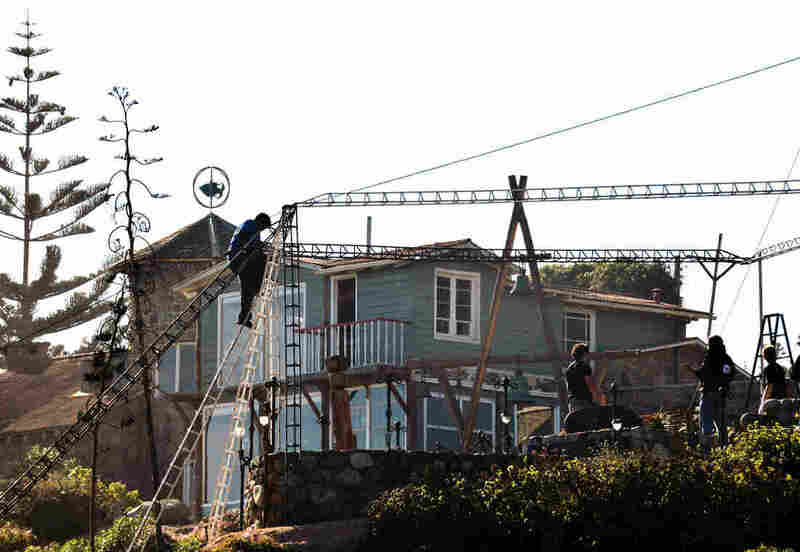 Police and workers set up a tent for the exhumation of the remains of poet Pablo Neruda in Isla Negra, Chile. 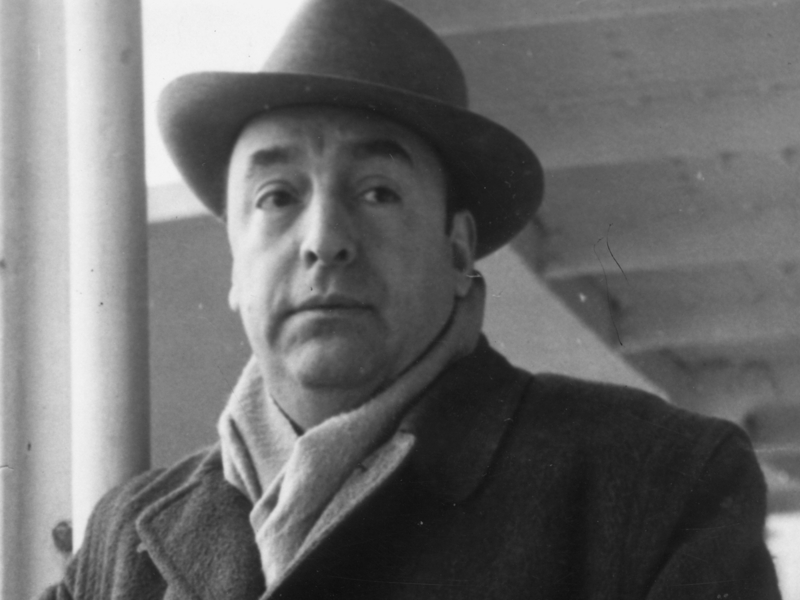 The body of Chilean poet Pablo Neruda is scheduled to be exhumed Monday morning. He died days after the 1973 coup that killed his friend President Salvador Allende and ushered Gen. Augusto Pinochet to power. Neruda's driver alleges the poet was murdered by the Pinochet regime. In February, a court ordered his remains to be exhumed and examined for signs of poisoning, and preparations began Sunday at Neruda's tomb on the Chilean coast. The proposed merger between publishers Penguin and Random House was cleared in the European Union, the European commission said Friday. U.S. regulators approved the merger earlier this year. Peter Workman, the founder, CEO and president of Workman publishing died Sunday, according to a press release. He had cancer. Selina Meere, Workman's executive director of publicity, wrote in an email that "every work decision Peter made, whether large or small, was given the exact right amount of time and attention." How to Create the Perfect Wife: Britain's Most Ineligible Bachelor and His Enlightened Quest to Train the Perfect Mate by Wendy Moore is the story of 18th century British author Thomas Day, who adopted two orphan girls and tried to raise one of them to be his wife. (The other was a backup.) Moore tells the unsettling story with grace and a touch of humor. Meg Wolitzer's The Interestings centers around six talented kids who meet at summer camp, and follows them into adulthood. In 2011, Heller McAlpin wrote in the San Francisco Chronicle that "at this point in her career, Meg Wolitzer deserves to be a household name." With this excellent, highly-anticipated novel, she looks poised to become one.